Ellen Forney, author of the graphic memoir, Marbles, has written a second graphic novel. 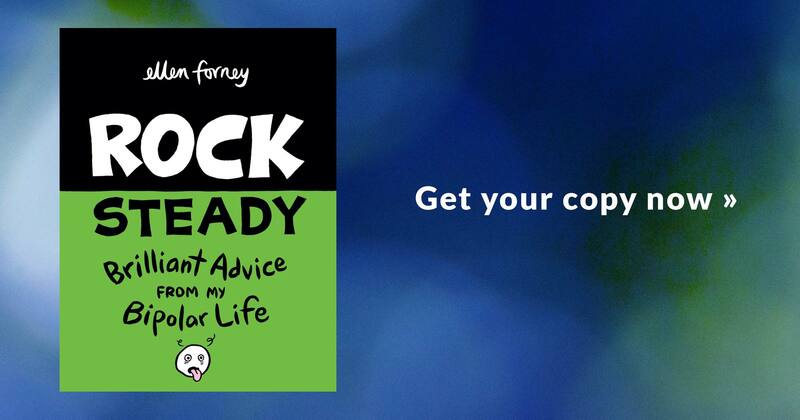 This time, it is more of a guidebook, Rock Steady: Brilliant Advice from my Bipolar Life, which leads the reader through her healing process. 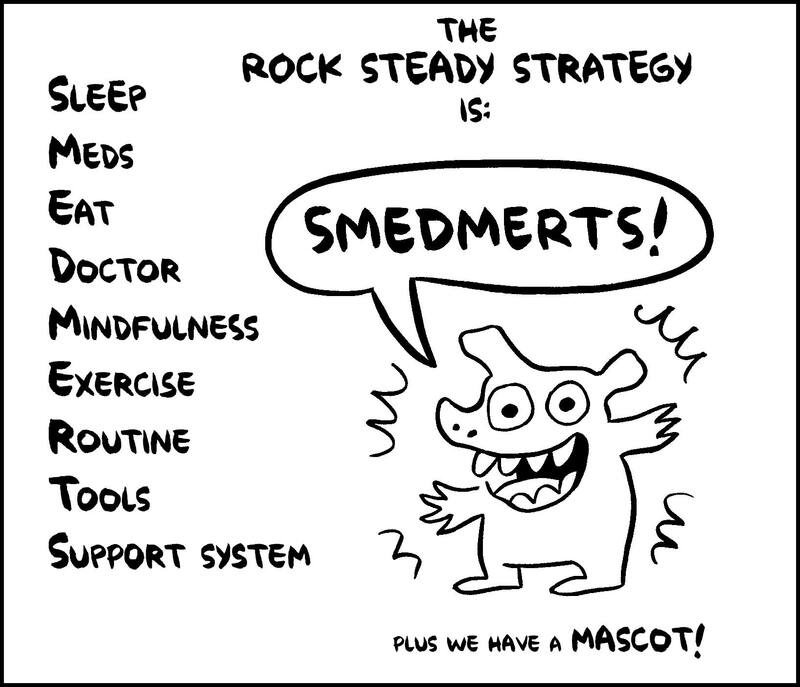 While Marbles was a story of diagnosis and exploration of what lead to that moment, Rock Steady acts as a guide for managing diagnosis, and aftermath, of one’s mental health diagnosis. 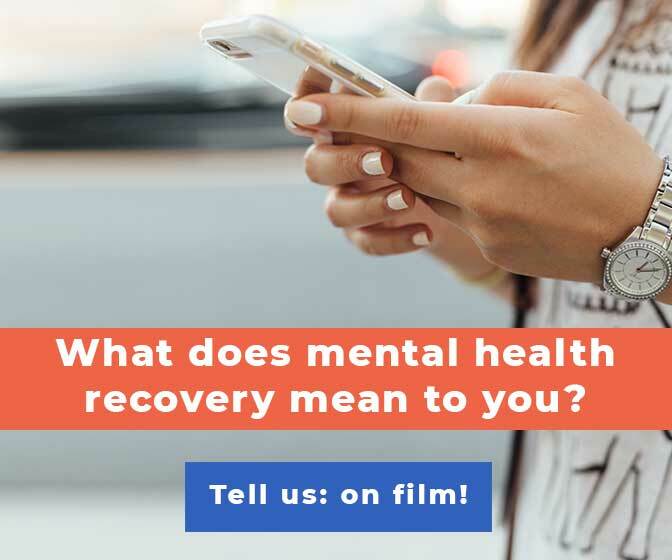 Forney shares her personal journey and recovery story as a toolkit for those who may have similar experiences, providing a clear plan for how to cope, based on what has worked for her, within her own healing process. 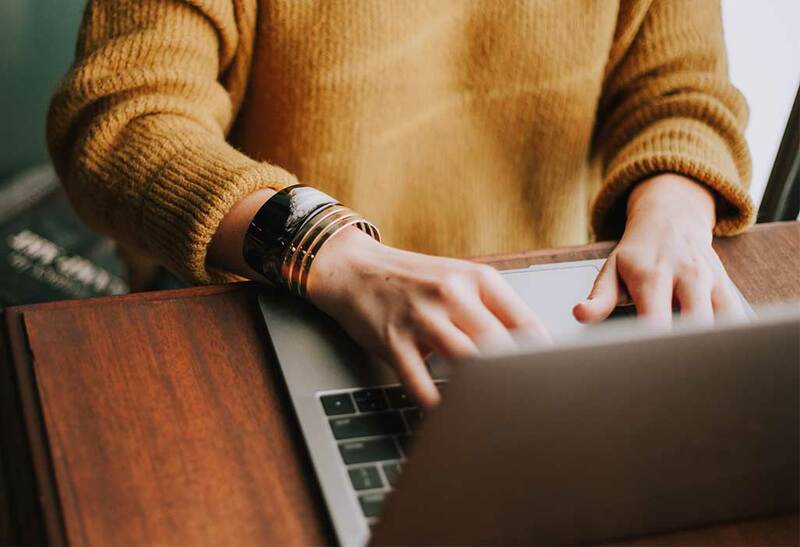 Even if the diagnosis is not one to which the reader can directly relate, finding a path towards mental wellness is something for which we all strive. Ellen describes the many paths that have lead to her own wellness; finding support, consistent therapy, developing, and sticking to, a routine. 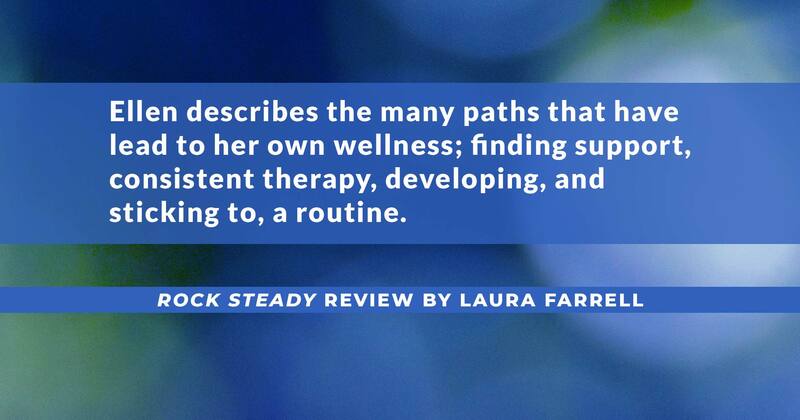 Rock Steady can also be used as a tool for those supporting others struggling with mental health challenges. As a social worker, writer, and person with mental health challenges, Forney’s story and advice resonated deeply with me. I am a visual learner, so reading clear ways to cope was very valuable for me. It helps that she shares pictures, charts and comics to illustrate her journey. In many ways, sections of her story felt like a list of helpful suggestions, which are then broken down into greater detail. The setup of a graphic advice novel makes Forney’s guideline feel accessible and easy to follow. 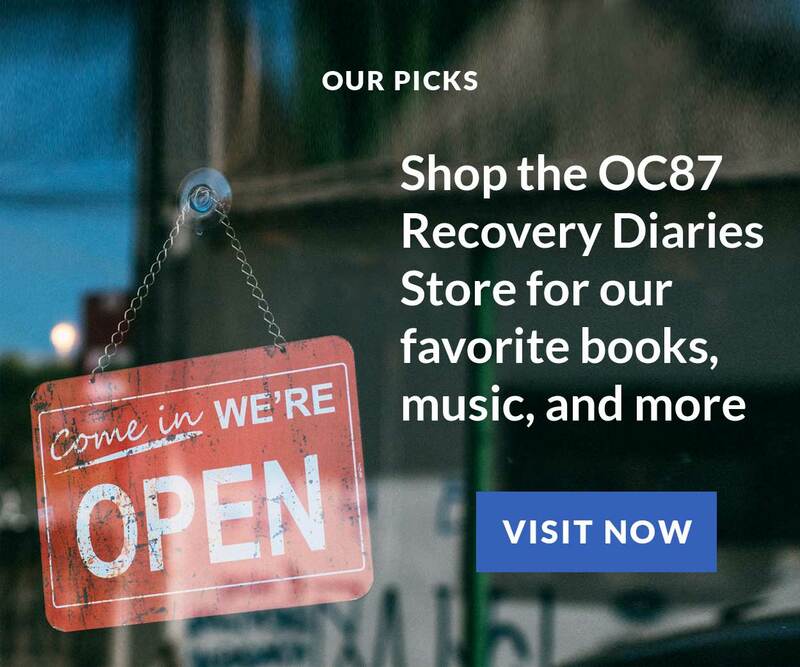 She inserts her journals and personal perspective as she goes through the processes and life changes that have helped her cope with bipolar. She gives clear and direct advice, informed by conversations she’s had with her therapist and psychiatrist, while also including her anxiety in making changes—changes in medication, sleep patterns or just general life changes. It seems that much of her journey has been about finding routine to help maintain stability. Forney also asks the question, what do we do when that routine is disrupted, exploring the idea of interruption and how she manages change, both unexpected changes and transitions that she knows are coming. It’s helpful that she explores the curve balls that come with life; sometimes I fixate on a set plan or routine but things are not that simple. 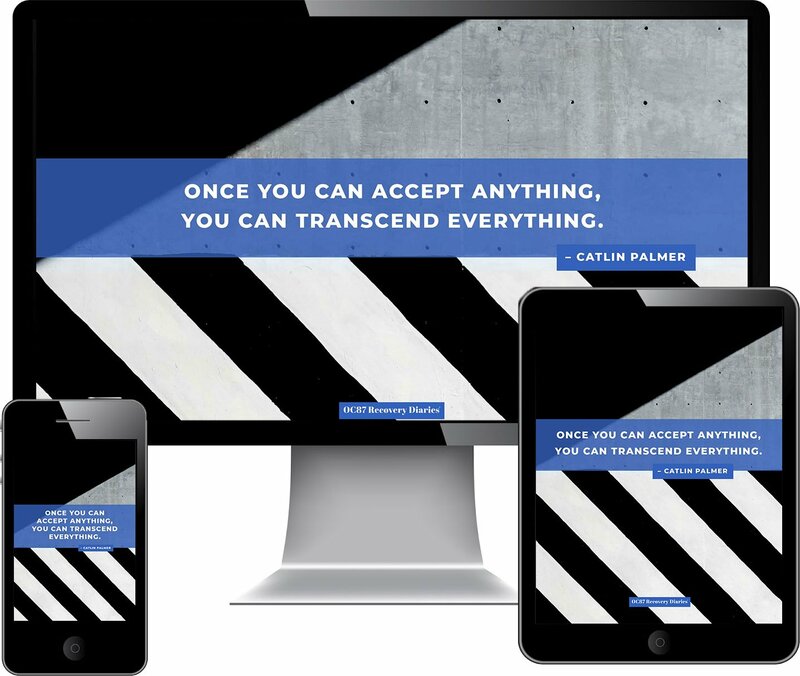 Forney provides ways to manage the unexpected and stay grounded. She includes personal stories—not as many as in Marbles—but these anecdotes act as examples of what she has changed in her life to help in her healing. The book is focused on managing a bipolar life. I missed the story aspect that existed in Marbles, but this is a very different book. I found the insertion of self, interpersonal dialogue, and storytelling aspects to be incredibly helpful when understanding the specificity of her journey and what has worked for her. This helped me find ways to apply what she outlines to my own life, and adjust in my own personal ways. Forney helps her readers to understand what bipolar is, what mania and depression look and feel like, and how the way they appear is different from one mind to the next, one body to the next. 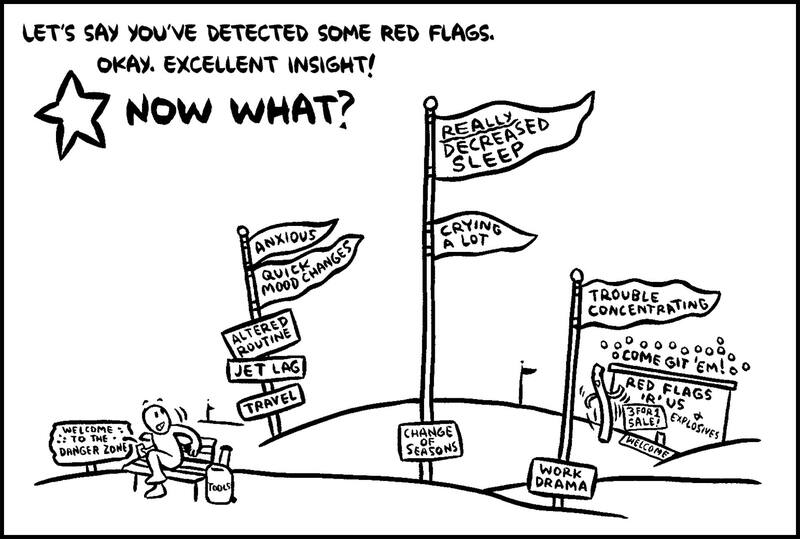 She includes red flags that may alert readers to the approach of symptoms so they may be caught early. Her story in many ways is about awareness; how do we understand what is happening to our mind and body? How can diagnosis inform this understanding? The book is a collection of lessons in coping, finding ways to prevent triggers and manage them when they occur. It is important to understand the individuality of experience when thinking about mental illness; Forney’s guide is incredibly helpful but everybody, and every mind, experiences things differently. Forney has found what has worked for her; those interventions and practices may not work for everyone. That being said, for me, although I have had a very different experience than Forney, I felt relieved to read much of what she said and have a clear guide of what to do. It’s a book I’ll return to often when I feel I am mismanaging my own mental health. It feels grounding to hear from someone else about what works for them and to try to apply some of these things to my life in the way that I can. 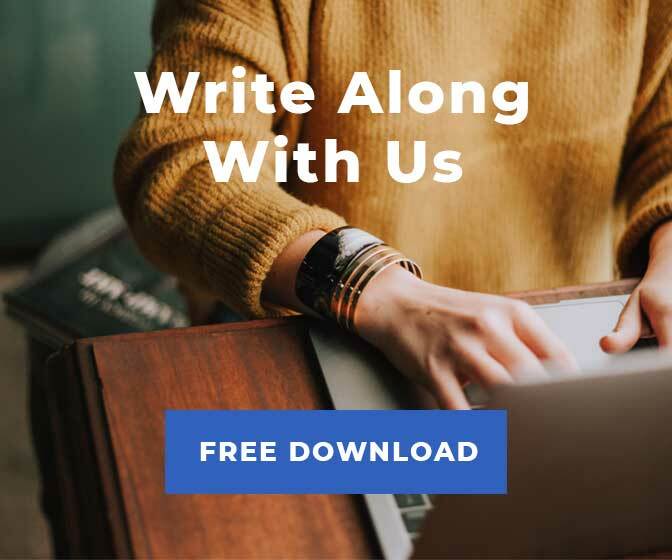 It is especially helpful to hear from Ellen Forney, another creatively-minded person and see how she’s made it work, within a specific and set routine, managing her bipolar. I may not have access to everything she does or have found other ways to manage my own mental health does not mean that I can’t use certain strands of what Forney speaks to. Routine is an incredibly important part of her coping and this was helpful to hear—even something as simple as just starting a clear bedtime routine. Finding small ways to apply big ideas from Forney’s guideline is incredibly helpful. My one critic of the story is about accessibility. Many resources are based around privilege. Cultural, economic, familial and ethnic differences inform how we view and treat mental health and the access one has to help. There is some privilege in maintaining all the things Forney outlines—“eating well, seeing a doctor, stick to therapy, having a mindfulness and meditation practice, exercise regularly, have a pretty regular routine, an array of coping tools and a solid support system.” Financial stability and a support system seem crucial in accessing many of these things; access to therapy or health services is a barrier for many. Ellen Forney’s guideline and coping mechanisms are very specific and clear. The story, paired with imagery, provides many ways for readers to access this toolkit. It’s an incredibly helpful resource that I think will benefit many people, or providing support and empathy for others in their lives. I especially appreciated reading Rock Steady and then visiting Marbles to see a larger scope of Forney’s healing process. Her story is truly on about resilience and finding what works—and that is an inspiration to all! 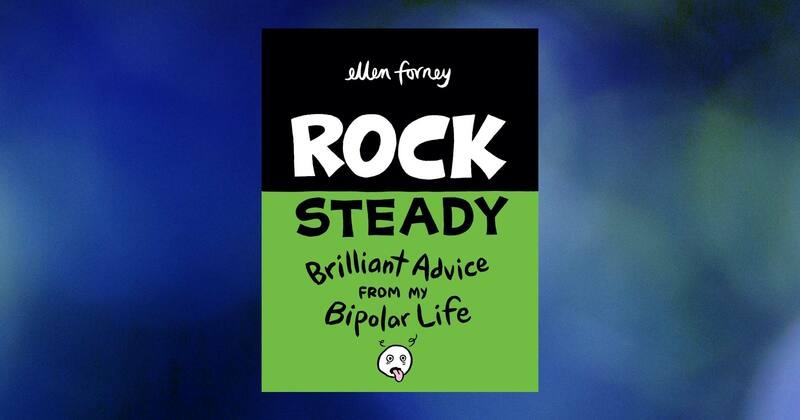 Ellen Forney’s 182 page graphic novel, Rock Steady: Brilliant Advice from my Bipolar Life, published by FANTAGRAPHICS BOOKS INC. and Gary Groth, may be found on Amazon.